The law office of Abdelghani BENAIRED is located in Algeria. we operate in many areas of Algerian law. As a professional representative certified in industrial property, we take care of the trademark registration, patents, designs and domain names. We are also specialized in copyright law, family law and divorce, criminal law, commercial law and maritime law. We followed much of our university studies in France. We have a Master 2 in intellectual property and new technology from the University Aix-Marseille III and a Master 2 in private law from the University of Perpignan. We have published several books and articles on intellectual property. We work with translators and lawyers throughout the Algerian territory. We advise you to contact us by email and we will reply as soon as possible. Our firm is here to help. 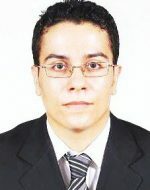 Maître Abdelghani BENAIRED is an avocat (Algerian lawyer – attorney) at the Mostaganem Bar (Algeria), membre of “Union Internationale des Avocats” et attorney certified in industrial property. It also proceeds to the exequatur of the foreign legal decisions in Algeria.